Mark Edwards is a scientist at the Royal Alberta Museum and an expert on large mammal species. His work includes an interest in the interactions among bear species, including the rare hybridization between polar bears and grizzlies, the pizzly. 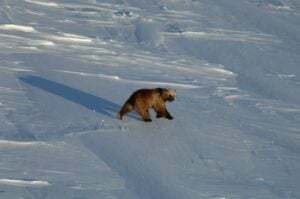 He will join a western leg of the voyage to gain a better understanding of the interaction between these two bear species, based on observations and perspectives of local community members who have had experience with bears out on the land and sea ice. The findings will be used to build a foundation for new collaborations with northern organizations.